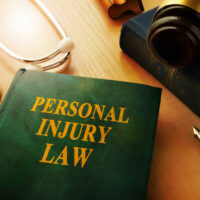 In any given area, there will be thousands of personal injury attorneys to choose from. How do you know which one to choose? What if you get a bad feeling during your case? How do you know that your attorney is doing everything in their power to fight for your right to be compensated fairly for your injuries? Here’s the open secret among personal injury attorneys. You can make a living settling cases for marginally more than an insurance company’s opening offer. The trick of it is simply to do in volume. Insurance companies, to be sure, are quite savvy. They use sophisticated insurance adjuster software of which the primary aim is to devalue your claim. On the one hand, it gives the illusion of objectivity. On the other hand, the number that it spits out is largely dependent on what has been entered into. Additionally, software like Colossus keeps records on attorneys as well. This includes their willingness to settle cases. If your case is being managed by a settlement mill, the insurance company is going to know that. Regardless of what kind of claim you are making, you are only going to get one chance to recover damages for a settlement. While there are attorneys out there who make a career out of settling, do so ethically, and get great settlements for their clients, there are others who settle quickly devoting as little time to the case as possible and work purely on volume. You should never feel pushed into a settlement offer. The tradeoff of a quicker settlement is going to be a lower settlement. Attorneys get busy, but you should never be wondering where your case stands. Communication should be open. When there is a major change in your case, you should be made aware of it. Your attorney should be doing things like launching a full investigation, visiting the scene of the accident, and making sure that there are no stones left unturned. A personal injury attorney who is unwilling or lacks the ability to try a case before a jury can easily be leveraged by an insurance company. Insurance companies don’t want to take cases to trial. It’s expensive. But they will take a case to trial when the cost is offset by the threat of a massive settlement. In these cases, the insurance company is much more likely to press for a trial if they don’t have confidence in your attorney. The best personal injury lawyers can leverage excellent settlements for their clients by preparing their cases to be trial ready. If you don’t have confidence that your attorney can do that, then you have the wrong attorney. Alan Goldfarb and his team are trial attorneys in Miami. We seek to get justice for our clients and consider litigation the standard rather than an extreme case scenario. While settlement-oriented attorneys can get you fast results, we strive to get our clients the best results. Give us a call or contact us online to set up an appointment.